Hi François! Your experiment seems to confirm two texts which talk about this. One is a graph you posted in an old article where it shows that the optimal taste is achieved with a kiln phase starting around 50°, another (I Don ‘t remember where I read it) is a Japanese study of Sapporo or Asahi where they claimed the best tasting malt is achieved with a final drying phase taken around 50° or even 60° to develop flavour before killing. Hey Marco, indeed the graph showed that by raising the kilning temperature to 145-155F 62C-68C range at 25-35% moisture content improves flavour but at the expense of diastatic power. 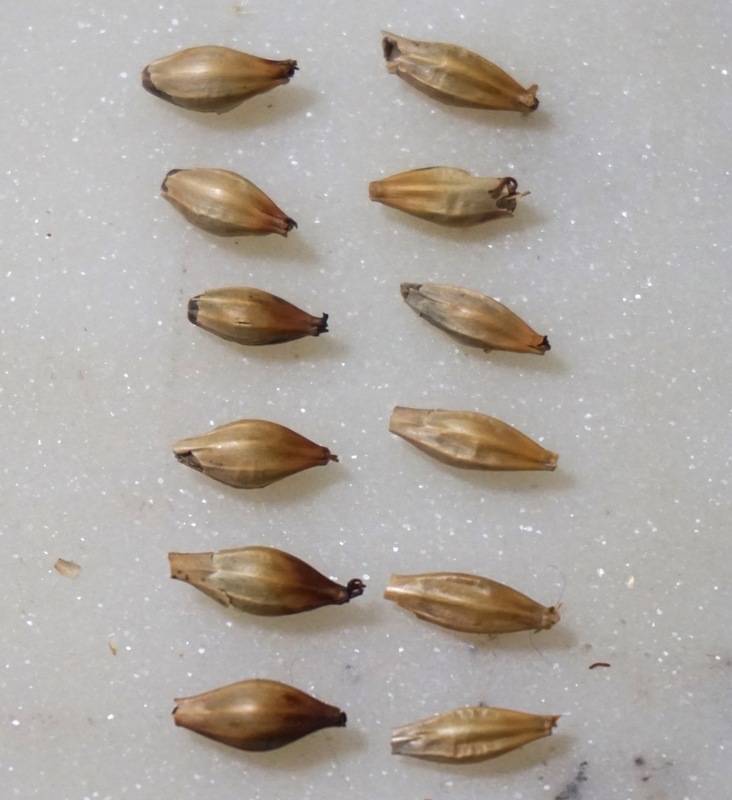 What I was trying to show was the effect on colour and if older methods of malting encouraged melanoidin production. From my understanding what’s happening at this range and moisture content is the activation of the enzymes which act on the proteins in the grain breaking them down into smaller amino acids. 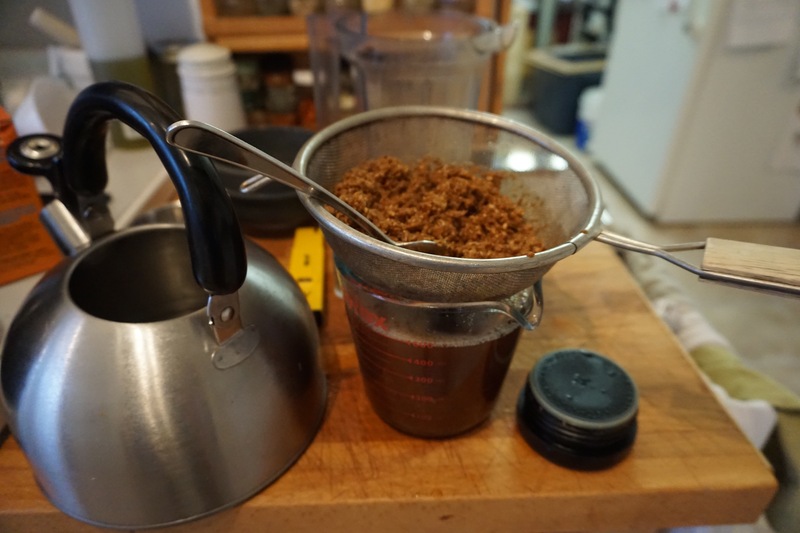 when these amino acids combine with the sugars produced (with the well modified malt enhanced by the hot couch) and heated you get the Maillard reaction – lots of browning. So once these enzymes are activated they are now spent and our diastatic power is reduced. 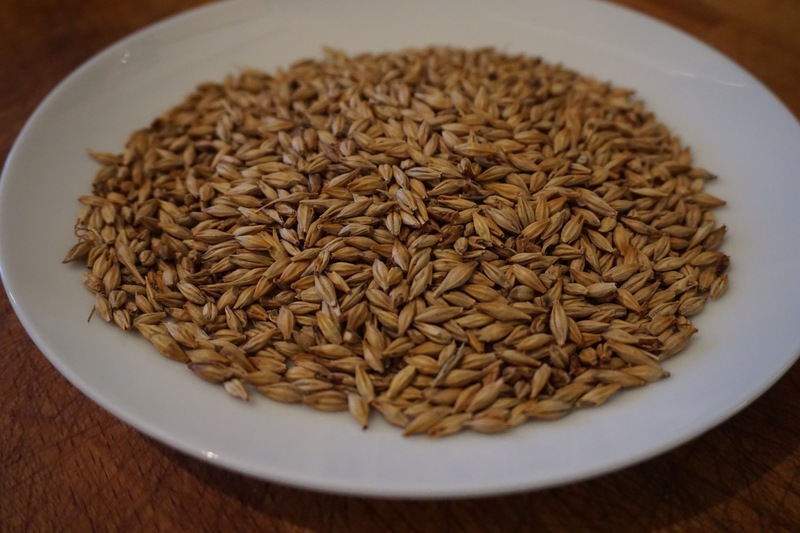 By playing around with all these factors you can customize your malts – you can add colour, make maltier flavours, or by kilning low and Curing at high temperatures you can get toastier flavours. There are lots of variables to play with! I think the inside of the malt is a complex factory !! While reading the post, I was reflecting on a recipe for dark candi syrup (I personally tried) where they reduce sugars (sucrose break with heat alone, no acids), amino acids (from beer must) and a high pH (it helps a lot the formation of melanoidin), so I think everything is correct and I was thinking about the pH of the water absorbed by the grains, maybe it could partly play a role. 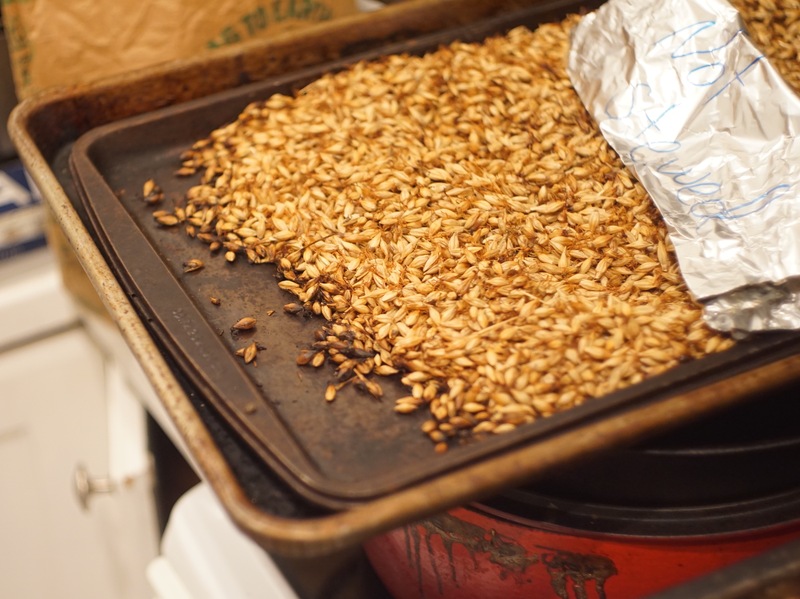 I do not know if it might interest you but I blew the barley (not malted) because I saw that it exists commercially (used to replace barley flakes) I started to clean the barley, boiled very briefly in a few minutes (rapid increase in humidity inside) and then put in a pan over low heat (not in the oven). As soon as the grain starts to dry out, it starts to crackle and expands slightly (similar to popcorn but less noticeable). Although we are talking about a different product, I think that high humidity and high heat create that effect, so I think you could try (last heat phase) with a pot more than with the oven …. maybe .. and just a trace! Yes, cleaning in water as usual then small boiling (about a minute) then in contact with a very hot pan. As soon as the surface water begins to evaporate, I lower the flame and soon after the barley starts to crackle. I have done several experiments and it seems this is the best. The inside of the seed remains white and the outside is golden but cooking can continue. This is a method used by me to make popcorn (but with dry seed, no boiling) without having the appropriate machine. Pultroppo I used what little I did otherwise I would send a picture, I could send a link to a commercial product (it is identical to what I got) but risk of advertising .I could make a video and send it via e-mail if necessary. Hey Demy I just tried this using some raw barley at 14% moisture. I did one with water and one without and it worked for both although I used a very small sample so it was hard to see any difference. There is a line in The Scottish Ale Brewer and Practical Maltster ( WHRoberts) 1847 which quotes A Treatise on Brewing by G.A. Wigney about “blown” malt “This system is much practiced in drying off brown porter malt and the blowing is carried to a greater extent than with pale malt” This is for “increasing volume for profit” so this was done with pale malt as well ! I’m curious to see how much diastatic power is lost by doing this. 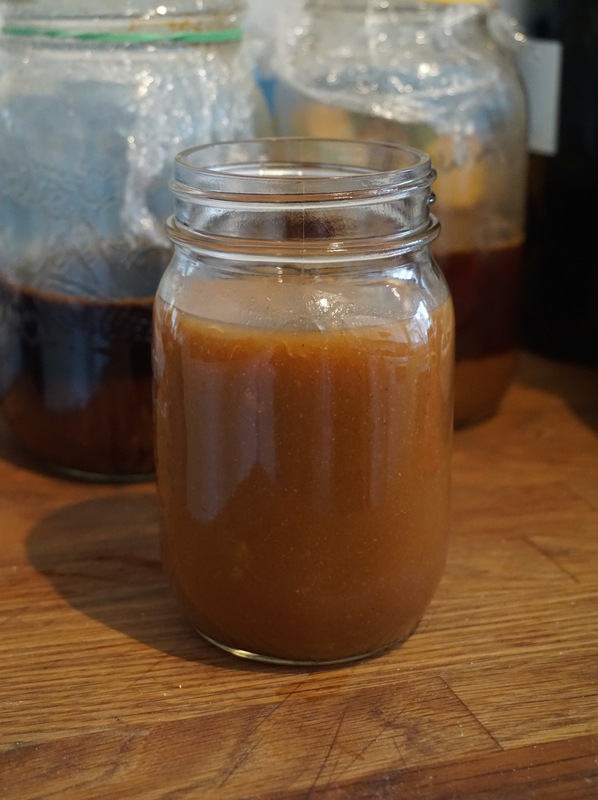 Hello François, I was starting to stew the caramel malt when I thought about putting it in a pan to see the effects. Barley has humidity of 47%, change of 100%. I put the green malt directly in a pan and lit the flame of the gas, at first lively then lowered. 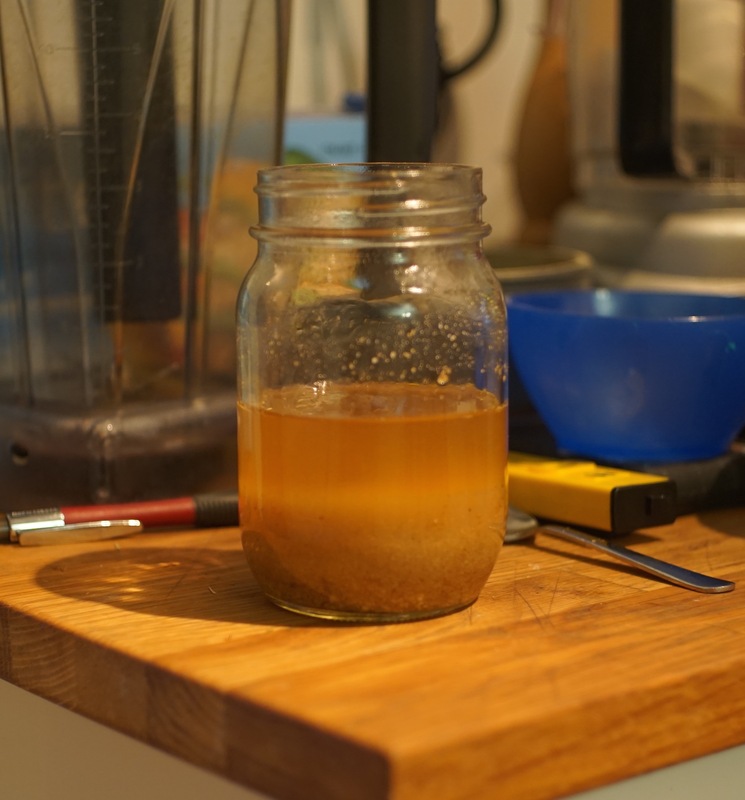 After a few minutes a sort of liquefaction began, I think it comes from a high internal humidity (I think the enzymes do not have time to get around, I think), in fact it is not as sweet as in caramelized malt and has started to crackle as well. As soon as it was dried, I removed the roots and then I continued to cook, until I obtained a “chocolate” malt. The malt is incredibly crumbly with a sweet beginning and a dry finish, delicate but less bitter than the corresponding product in the oven. I think cooking in the pan deserves attention: it is less homogeneous than my rotating basket, but also gives different results. I thought I’d share it. 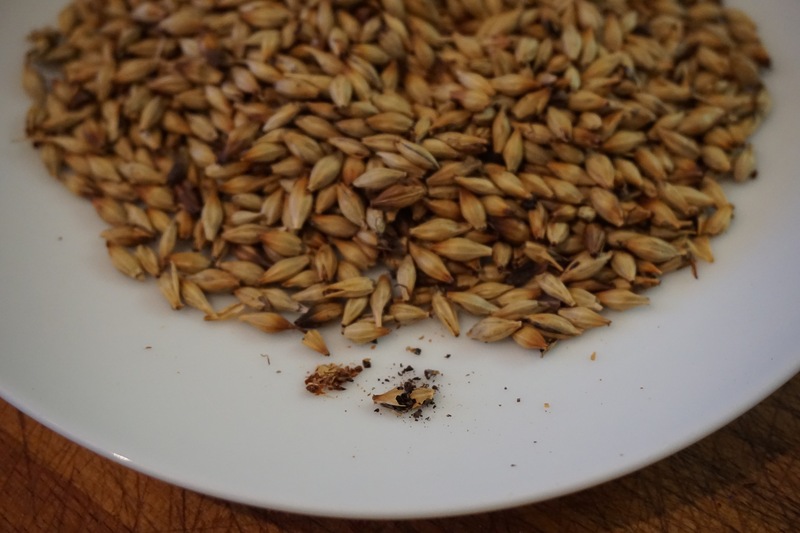 Demy, I was about to update this post because I cut into my blown malt (malt #3) which was highly modified green malt stewed at 50C cooked at 350F (177C) and to my surprise it was glassy! in 80 out of 100 kernals. Which is the same as the last caramel malt I made. Of course they were very dark, some charred but I was expecting to see a lot more starch. Especially since it only spent 40 minutes at 350F. Was this enough to convert the starch to sugar? Or am I seeing something else like cooked gelatinized starch? I’m going to try soaking some raw barley, then boiling it to gelatinize, then cook it and dry it out to see if I get the same glassiness. Perhaps there are different qualities of glassiness and maybe it’s not the best indicator of conversion for caramel malts. That looks good! Nice colour! I can see a little glassiness in there, about the same amount as the malt #1 that I made. I think you’re right about the frying idea – as stated in the London and Country Brewer- Iron and “tyled” (ceramic) frames were used and although they were perforated would have more of a frying effect on the malt. I’ve been trying to find any pictures of the horse hair cloth that would have been used in kilns but I’ve only found one English company that makes fabric out of horse hair. There is a small glassiness, but it is different in caramel malt. Despite being dark it has a limited “burned smell” compared to the oven (I would have said the opposite !!) I think that high humidity plays a key role with the starches and the pan. 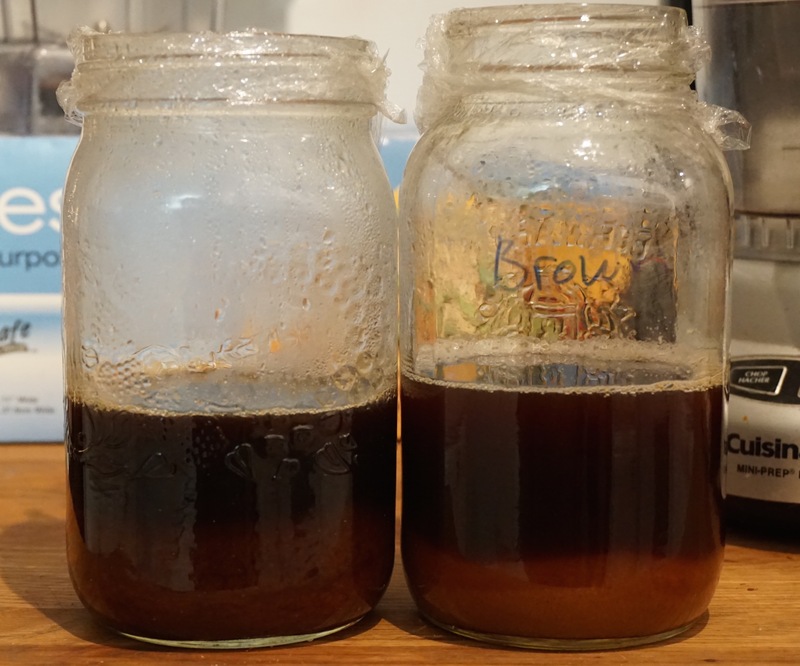 I tried with a dry malt (melanoidina) but I did not have the same result, I tried with the saccharified green malt to make the crystal (red caramel, say) but the outside of the grain is overcooked (even on low heat) while the interior is still light, perhaps good for a very dark caramel malt. . While I stopped cooking to remove the roots I remembered that the description of some malts (commercial) says “double cooking”, (maybe special b, I can not remember), maybe it’s a stupid question but some heating / cooling cycles have some consequences on malt? Very interesting. I also read that about Special B, I’ve also read that about Blown malt. 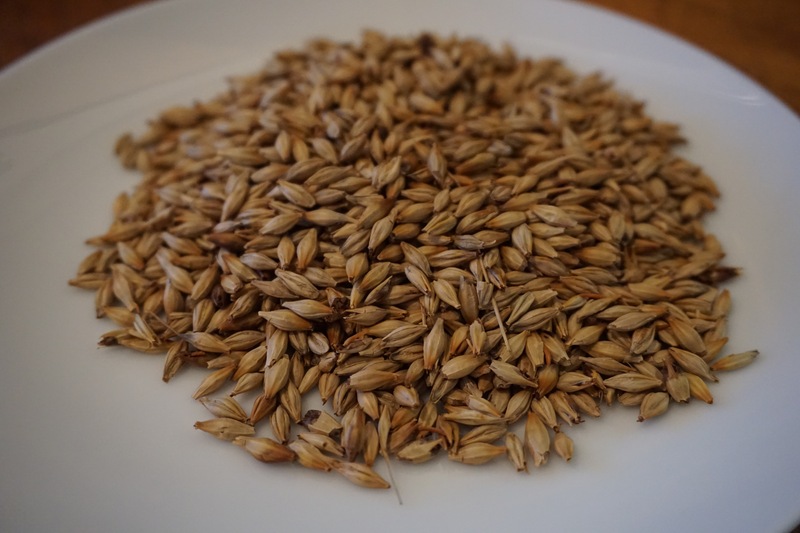 I did manage to make a Special B type malt which tasted and looked the same, I have a post about it- I did not “double cook” it but I did stew at 50C for 12-16 hours before the saccharification stew. I suppose cooling the malt would have the effect of not cooking the inside as much, (just a guess) because you’re exposing the outside to more heat than the inside. Worth some more experiments! Hey Demy just added a link to my new malting log book (top right) which you might find useful, I’ve also added a translate button to the blog as well on the bottom right side. Hi Francois, I’m doing a small batch of melanoidin malt and I was wondering: proteolytic enzymes are active for such a long time? I read somewhere that after a few hours are degraded (during mash), so I’m a bit confused …. I want to do it in the best possible way ….. thanks! Well most of what I’ve read had a “hot couch” method allowing the grain to rise to 50C in the center. This is stated to take 36 hours, but that depends on the malt and the amount etc. 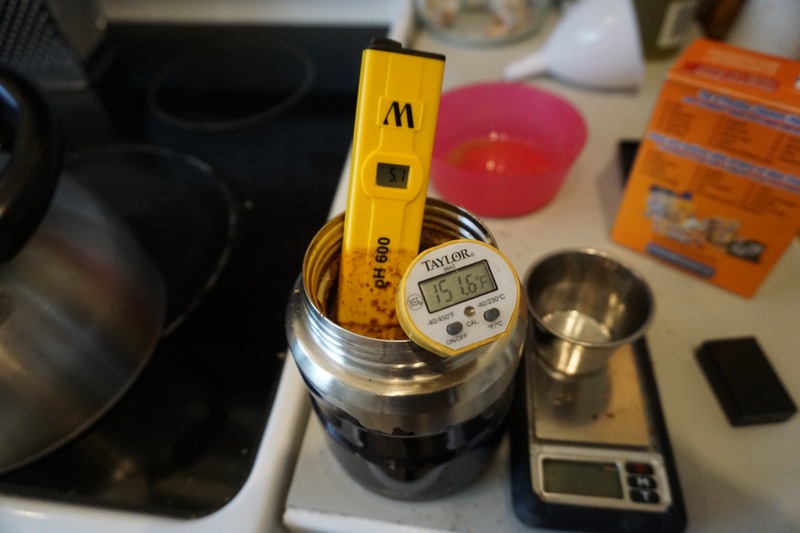 I did this with the brown malt because this method is stated in the 1736 country brewer. I’ve found that to get colour there was a big difference between malt stewed at 50 for 8 hours compared to 16. For a regular melanoidin you don’t have to stew for a long time if at all, just do the 36 hour “hot couch” then dry it. I stewed for about 20 hours (50 ° C) to see the results, the smell during cooking is really delicious. I noticed that during the 50 °C stewing the inside of the malt turns yellow and has a peculiar smell. I asked this question because I wondered how long an enzyme can perform its function before denaturing, I know that this depends on the temperature but I always read that enzymes after a few hours of activity are inactivated … from this derives my question. In fact I have not found any scientific information on this, it could be useful for example during the mash for “difficult” malts such as corn. It’s an interesting question, I’ll look into it. We’re talking about the physiology of enzymes. How long do they last, when are they spent. Enzymes can continue to be active, however slowly for weeks if the final moisture of your malt is above 6%. Mash conditions are meant to provide the most ideal conditions for the enzymes to work so they will work faster. I’ve been reading about historical kilning schedules in England being 4 days long – 1 day at 38, 1 day at 50 etc. I’m wondering what these malts are like to brew with. a lot of enzymatic activity would occur during these periods.